Harry N. Abrams, 9781419723094, 40pp. Katie Kath has a master’s degree in illustration from Savannah College of Art and Design. She is the illustrator of What a Beautiful Morning.
" 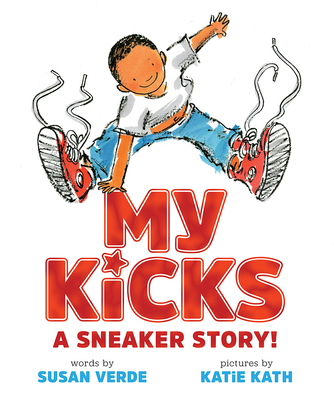 Delightful illustrations...this cool kid’s adventures offer general appeal, especially to parents of children who are attached to worn-out shoes." ink-and-watercolor illustrations place the boy in a pleasant urban setting and are well matched to the text. A wonderful ode to shoes, old and new."